We are happy to inform you of the release of the 3rd Euro Millions draw which took place on Wednesday 28THof April, 2017 at 10pm. Due to the mix up of numbers and names, the results were later released on 26th May,2017.Your name was entered as an alternative number attached to Millionaire Raffle: ASL205174/ALS drew the lucky numbers 01-08-11-27-29-01-10 which consequently won the lottery in the match 658 star category. You have therefore been approved a lump sum payment of Ђ915,610,00 (NINE HUNDRED AND FIFTEEN THOUSAND SIX HUNDRED AND TEN EUROS ONLY) in cash credited to file Millionaire Raffle: ASL205174/AMS. This is from a total cash prize of Ђ19,227,810,00 (NINETEEN MILLION TWO HUNDRED AND TWENTY SEVEN THOUSAND EIGHT HUNDRED AND TEN EUROS) only, shared among the TWENTY ONE international winners in this category. CONGRATULATIONS!!! Your fund is now deposited with a bank and insured in your name. Due to false practices, we ask that you keep your award information strictly from public notice, until your claim has been processed and money remitted to your possession as this is part of our security protocol to avoid double claiming or unwarranted abuse of this program by unscrupulous individuals. All participants were selected through a computer ballot system drawn from (Six Million) names from Asia, America, Africa, Europe, and South Pacific, as part of our Summer International Promotion Program. We hope your lucky name will draw a bigger cash prize in the subsequent programs ahead. NOTE: In order to avoid unnecessary delays and complications, please remember to quote your Millionaire Raffle in every correspondence with your agent company. Furthermore, should there be any change of address, do inform your claims agent company as soon as possible. Please note that copy of your letter have been sent to your Attorney. Congratulations once again!!! I, MR, MRS, MISS……………………………………………………, HEREBY DECLARE THAT, THE ABOVE DATAS ARE TRUE. 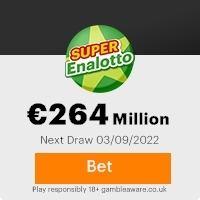 The Lottery Company and euro-millions.com is in no way affiliated with, associated with or approved or endorsed by Camelot Group plc, The National Lottery Commission or SLE. This Email with the Subject "Result Draw for Euro Millions" was received in one of Scamdex's honeypot email accounts on Tue, 30 May 2017 15:12:39 -0400 and has been classified as a Generic Scam Email. The sender shows as "Dr Alberto Hildalgo"<"www. "@bronze.ocn.ne.jp>, although that address was probably spoofed. We recommend that you do not attempt to contact any persons or organizations referenced in this email, as you may expose yourself to scammers and, at the very least, you will be added to their email address lists for spam purposes.